Channel 5 is launched on terrestrial television, Teletubbie mania sweeps the UK, Tony Blair becomes PM, the movie ‘Titanic’ is winning awards and Harry Potter is born…. Some pretty momentous events occurred in 1997, but none more so than the appointment of Andrew Curry as a Linkline HGV Driver. 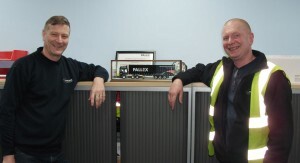 That’s right, it’s been an impressive and respectable 20 years of dedicated service for Andrew aka ‘Gippo’. 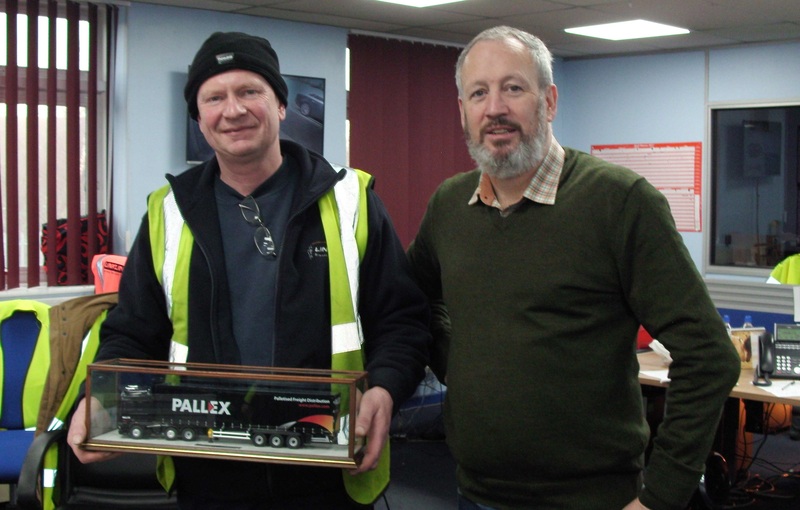 To mark his anniversary and commitment to Linkline, Andrew was presented with his very own Pall-Ex replica truck model, and a communal acknowledgment by Directors and Colleagues alike. Congratulations Andrew, here’s to another 20!